Although no formal education is typically required to land a culinary profession, it can be helpful to arrive as prepared as possible to stand out from the applicant pool. Employers prefer applicants who are proactive and show initiative. Additionally, the lack of awareness and uncertainty of untrained hospitality staff can, in many cases, pose a dangerous liability to the business. Elearning helps mitigate this liability by providing the most efficient training in with the least amount of resources, covering large companies to small businesses, in a variety of languages. 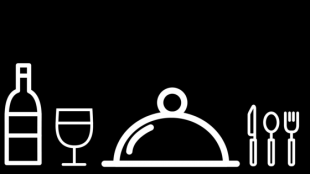 The following courses can benefit almost anyone involved in the food service industry, from a prospective hostess seeking to learn the proper way to pour a bottle of wine, to a restaurant manager learning how to effectively communicate with a team, to a head chef wanting to train the entire restaurant hierarchy about food safety awareness. This training course covers one of the more stressful, technical aspects of the hospitality industry: handling payments. The course gives troubleshooting tips along the way to avoid cash-related discrepancies, and helpful hints to how one can avoid frustrating fellow employees. Its depth is what sets this course apart; the viewer learns the differences between the two types of banking systems, bartenders and servers, and credit cards and debit cards. It is specific in describing how to rectify common mistakes, but also gives general guidance on elements such as organization. If you wish to work at a bar or restaurant that serves alcohol, it is imperative to familiarize yourself with the regulations and responsibilities that accompany the job. Alcohol has the potential to create a dangerous environment, and it is the server’s job to use their judgement to protect the customers and the business. From learning how to deal with intoxicated customers to achieving alcohol server certification, to wine-pouring, OpenSesame has it all. Unhappy customers are something that all employees in the food industry must face at one point or another. In a highly competitive industry such as the food service industry, hospitality and quick problem solving when it comes to customer complaints oftentimes are what separates good service from bad, or great from mediocre. Hospitality Staff Training offers this 20-minute course to create a base of knowledge for prospective waitstaff, or for reviewing existing skills. This 5-star course by DiscoverLink teaches the viewer about a range of topics from the critical importance of proper food handling to the physical safety of customers and employees. The course focuses on the temperature danger zone, cross-contamination, proper storing, prepping, cooking, and much more. Through videos and quizzes along the way, this 30 minute course is ideal for new employees and experienced managers alike. Teamwork is a fundamental aspect of the hospitality industry. Restaurants are complicated operations that involve many people and even more planning to operate successfully. Not only is it important to know how to communicate effectively with guests, you also need to know how to communicate with each other, with management, and vice versa. This hour long course from Hospitality Staff Training includes comprehensive content, visuals, and quizzes along the way to teach students how to communicate most effectively. Sustainability is an increasingly prevalent goal in the modern world. An increasing number of companies are incorporating this social responsibility into their employee training, and the courses on OpenSesame address exactly that. Green Education Online, the provider of this course, focuses on creating courses for promoting environmentally-responsible actions, and this lesson is no exception. Students will learn about environmentally preferable products and practices, as well as identify several cost considerations in going green. This course covers all of the necessities of what restaurant staff are expected to know from Day One on the job. It includes the basic procedures and policies of most restaurants. Management at restaurants will assume that you know this and will judge your performance on how you execute this on the job, so better to learn sooner rather than later!